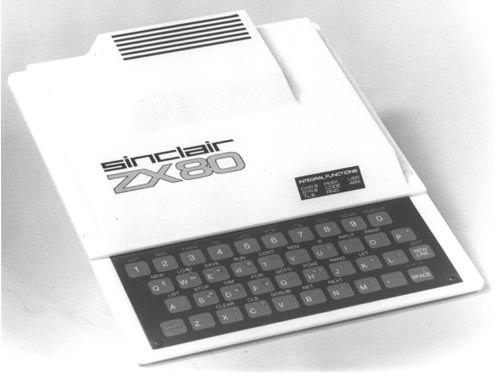 Description: The Sinclair AX80 was based on the Zilog Z80A microprocessor. It had an internal RAM of 1K. A 4K integer version of BAsIC was also available in ROM. The machine used a mebrane keyboard for ihjput and a domestic TV as its display device. Programs and data could be sotred on standard cassette tapes."